I received complimentary tickets from Classic Harbor Line through US Family Guide to facilitate my review. As always, all opinions are 100% mine. Are you planning a trip to New York City? 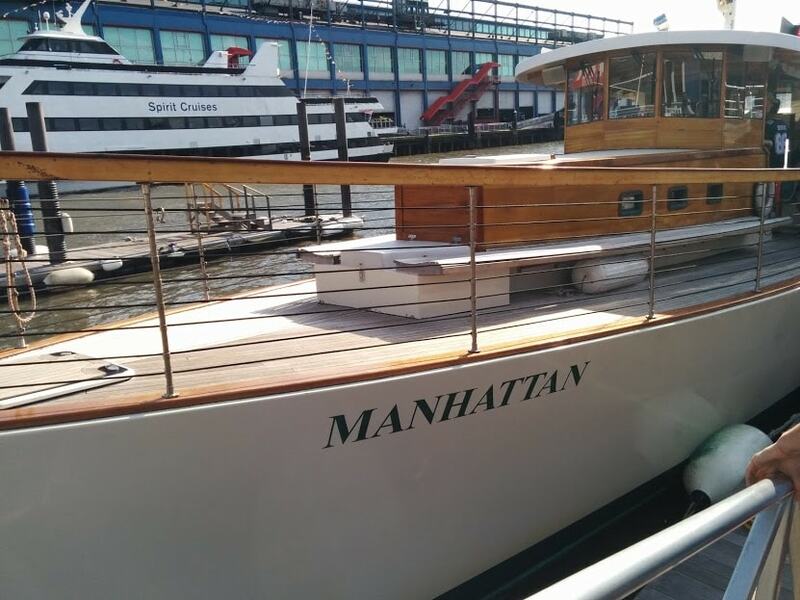 If you are looking for an enjoyable way to see the city from the high seas, then book a trip on the Yacht Manhattan and chose the Statue & Skyline Cruise. 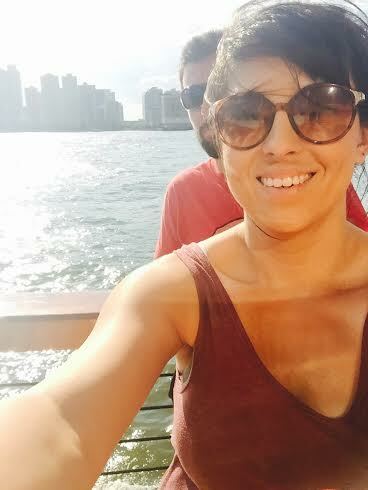 You will enjoy a pleasant 90 minute tour around the Hudson River. 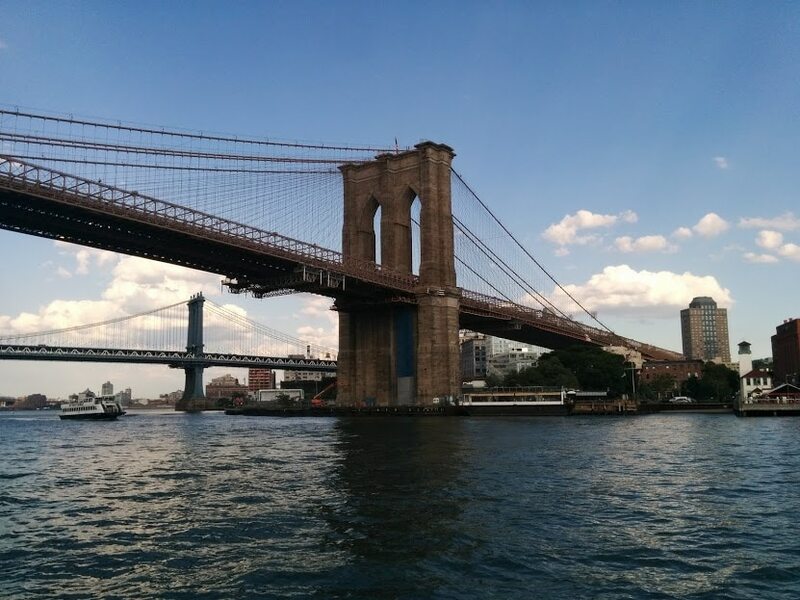 Notable sights include the New Jersey shore, an underwater tunnel for cars, Governor’s Island, the Colgate Clock from the industrial revolution, the beautiful Manhattan shoreline, the World Trade Center, and the Statue of Liberty. The pace of the boat is pleasantly slow enough to allow for some fantastic photo opps, while you relax with a complementary drink. There is inside seating, a full wet bar, bench seating along the outer deck, or you can lean on the rail where you can interact with the extremely friendly staff. Make sure to bring your sunglasses and some sunscreen because there is a lot of glare from the sun reflecting off the water! The day was a bit windy but the boat ride was not too choppy. 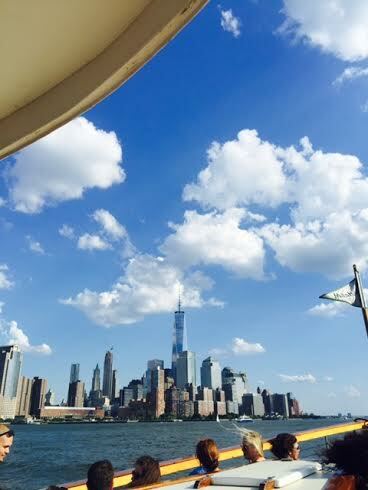 Seeing The Big Apple from the comfort of the Yacht Manhattan is a very memorable way to see the city. You can view schedules, ticket prices and more information at the Classic Harbor Line website.